This cake is made in the same style as my previous creation, Ufufy Marie Cat Cottony Cake. You can refer to the previous creation for the recipe. As I wanted cream colour, I used 5 egg yolks instead of 1 whole egg for the egg yolk batter. 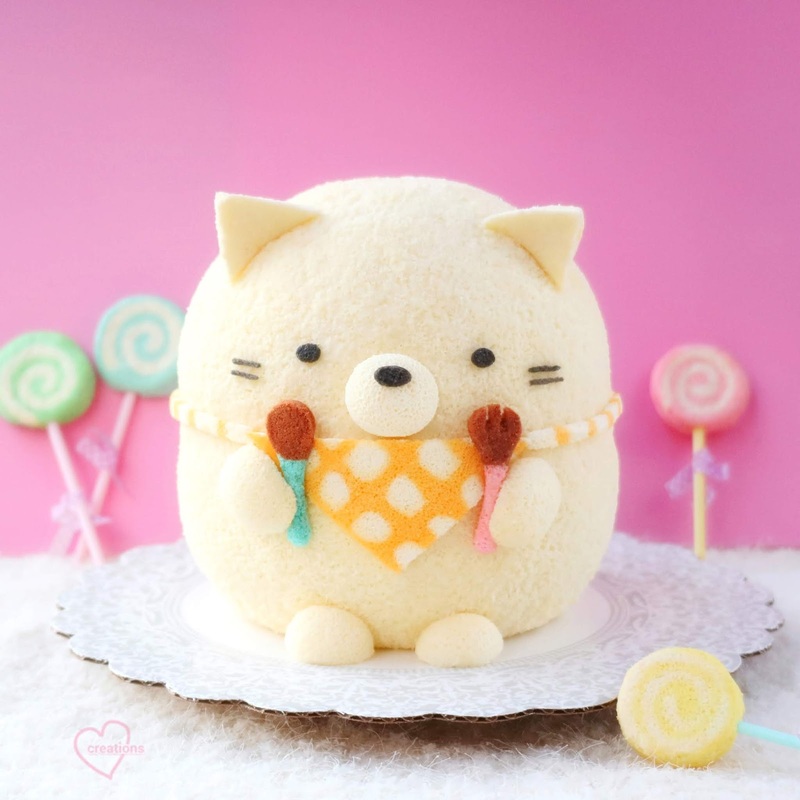 Neko means cat in Japanese, so this is another cat cake! My favorite part of this new creation is the checkered scarf! The scarf was made using the same method as patterned swissrolls =). Briefly, I piped the stripes and filled with white batter in between the spaces and baked for 16 min at 160°C. I wrapped the scarf around the Neko using marshmallow cream. 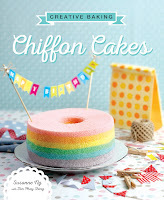 The fork and spoons were also cut from chiffon sheet cakes and glued on using marshmallow cream. 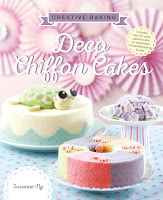 If you are interested, you can read more about the techniques from my cookbooks on Deco Chiffon Cakes (below). Hehe now the cute Neko looks ready to eat! 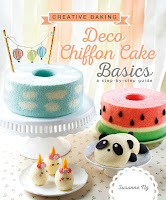 Very thankful my 3rd cookbook Deco Chiffon Cake Basics (left most) launched exactly one year back, is going for its 3rd print run! Thank you so much for your support. The books are available on book depository with free shipping worldwide. But your book has less pictures than I've expected. Some parts are not cleared about how to make the shape. It will be better if you could provide more pictures about how to make that shapes.